Beautiful Mind is a medical melodrama about a doctor who suffers from the inability to feel emotions, and a cop who is working towards justice. Their paths cross through their mutual involvement in the mysterious deaths happening at the hospital. Through their interactions, they learn to look at the world through each other’s eyes. Overall, despite the episode truncation at the end, Beautiful Mind left me with a good impression of the acting, writing and general plot. The first few episodes introduce the characters and set up the main conflict stringing together the primary theme of the drama in an eye-catching way. 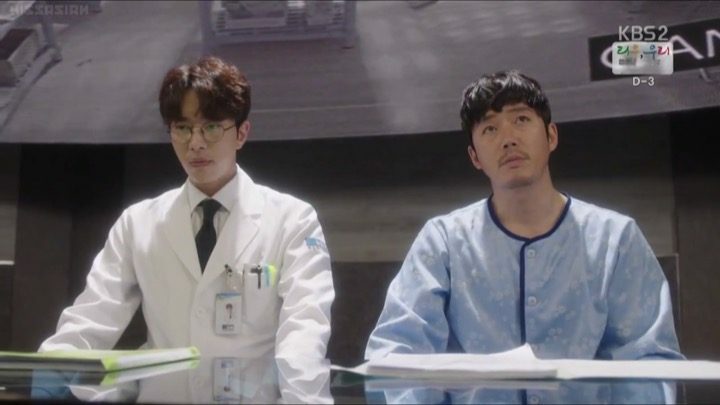 Our hero Lee Young Oh (Jang Hyuk) is a brilliant neurosurgeon, but he harbors a secret that no one knows. Due to problems with his frontal lobe, he lacks empathy and the ability to express emotions. Because of this, he is very one-track minded and logistical. He also possess impeccable observational and deduction skills, which he uses to create the illusions of empathy and blend into the crowd. Our heroine Gye Jin Sung (Park So Dam) is a traffic cop, who becomes involved with Young Oh due to a patient’s missing heart. She doesn’t let anyone forget about the heart, and insists on investigating the case, showing her strong sense of righteousness and persistence. During these early episodes, Young Oh’s character overshadowed Jin Sung’s. It felt like he was taking on both the roles of a doctor and a cop, because he was able to find out more details regarding murders than she did. But despite her lacking in smarts, I liked her character as someone who is truly fighting for justice. The drama soon shrouds the whereabouts and reasons behind the missing heart with a layer of mystery and intrigue, firmly grasping my attention. 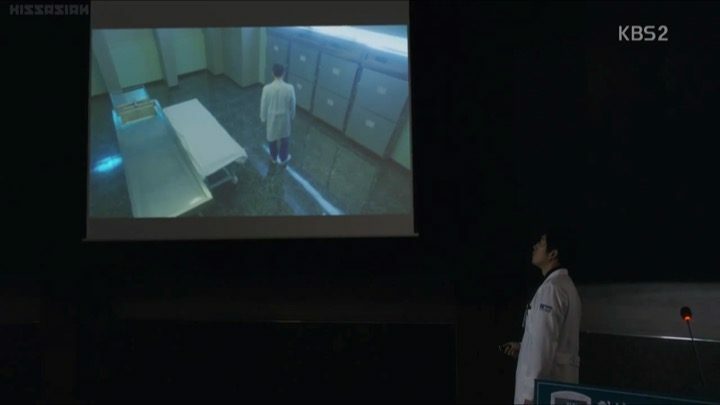 We quickly learn of an issue with missing security footage that puts Young Oh, along with another popular surgeon Hyun Suk Joo (Yoon Hyun Min), as targets of suspicion. We also learn that Jin Sung knows Suk Joo from when she was hospitalized in her younger days. Lastly, to complete the leading cast, our second female lead Kim Min Jae (Park Se Young) is Young Oh’s fiancee and a research fellow at the hospital. She possess both beauty and brains, but not so much loyalty. She quickly betrays Young Oh, leading to tension between the two. Now that we’ve got a complete cast of characters, I can’t wait to see where the drama will take us. Now that we’re a few episodes in, I like how Beautiful Mind paces and structures the format of its episodes. Each episode opens up a significant moment from the past to help develop a deeper perspective on our characters for the viewers. 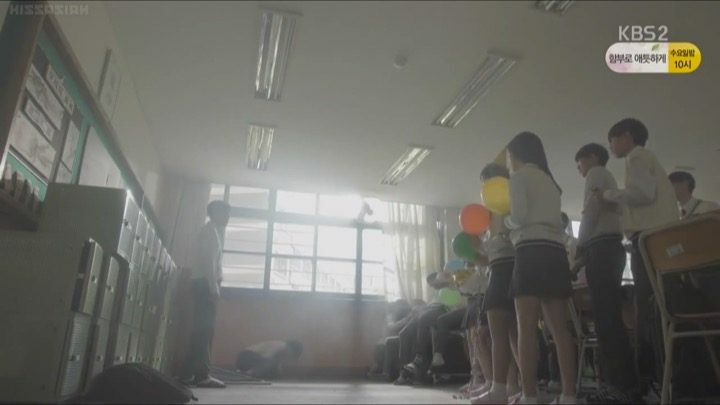 From Young Oh misunderstanding his classmates, to Suk Joo losing a friend, the audience gets to see important details about our cast in roughly five minute scenes. I really appreciate the fact that the drama doesn’t outright explain everything about the characters to the audience through dialogue, but rather, bringing it to life and allows the viewers to draw their own conclusions. On the plot front, we learn that some of the higher ups at the hospital are experimenting with a risky and morally questionable medical research. 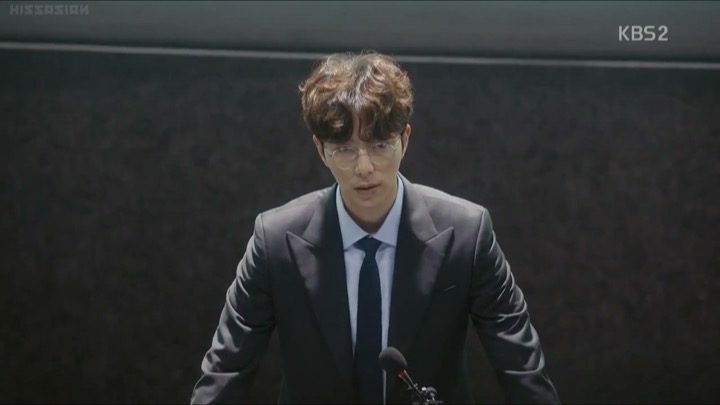 It’s becoming apparent that the missing heart and the death of Suk Joo’s mentor are related to the selfish ambitions of these higher ups and their irresponsible actions. We also meet some new characters and discover buried associations, such as the dynamics between Young Oh and his father, Dr. Lee. The two of them have a complicated relationship, partly due to the fact that Dr. Lee taught Young Oh to always hide who he is. There are no forced interactions between our leads and they each live their own lives. Yet when it comes to our main leads, there are no awkward, forced interactions between them as most dramas would artificially create. They aren’t constantly near each other or even thinking about each other for the sake of drama. Instead, they live their own lives in pursuit of what’s important to them, which I think really speaks well to the quality of the writing. I appreciate the that the drama isn’t trying to force a romance either. They’re genuinely being developed as independent characters with their own unique flairs. And to that end, this becomes my favorite part of the drama thus far. In this section of the drama, we begin to see some more drastic shifts in both characters actions and their relationships, though the underlying theme of the drama remains the same. Suk Joo’s desperation changes him into a sort of unlikeable character at this point, but of course, with his own motivations. He begins to endorse the research that had killed his mentor. But, I’m sure when he realizes what’s more important, he’ll come back to his senses. As mentioned above, I like that there is one, singular underlying theme, which has been refreshingly consistent. The mystery of what happened to the heart, and the new research is well threaded throughout the drama. Beautiful Mind didn’t try to cram and force too many mysteries, surprise twists, or side plots into the drama. In doing so, the drama succeeded in having a rich storyline with real substance to it. It didn’t try to cram in too many mysteries, surprise twists, or side plots. On the romance front, our leads are naturally seeing each other more and getting more comfortable with each other. This is good for Young Oh because he’s adding a little more uncertainly and emotion into his life instead of seeing things so pragmatically all the time. Now if only Beautiful Mind will give us a satisfactory ending to wrap up all the open questions and give our leads an authentic way to start a relationship, then it’ll make one perfect drama indeed. To my satisfaction, Beautiful Mind does a fantastic job of tying up any and all loose ends in its final chapter. We learn something important yet unexpected about Young Oh’s condition, but the drama handles it carefully and thoughtfully. This new discovery, although impacts him greatly, doesn’t awkwardly rewrite or undermine what the drama has worked towards until now. It’s a great example of how gracefully the drama integrates new twists and organically drives the plot forward. It genuinely captured my attention. Jin Sung’s physical condition takes a turn for the worse. But thankfully, Suk Joo and Young Oh have a plan to work around it, which doesn’t involve the dangerous research. I like that the last few episodes work together towards resolving this climax. There is a small time skip, which shows us what everyone is up to now and everything settles down nicely. Beautiful Mind is one of the few dramas that I have watched and felt consistently liked throughout its run. I held the episodes to certain expectations, knowing that they would rise to meet them. 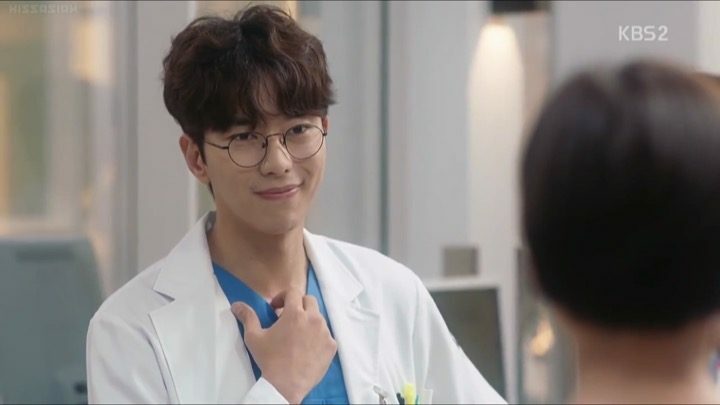 I would most definitely recommend this drama to those who are fans of the medical melodrama genre.